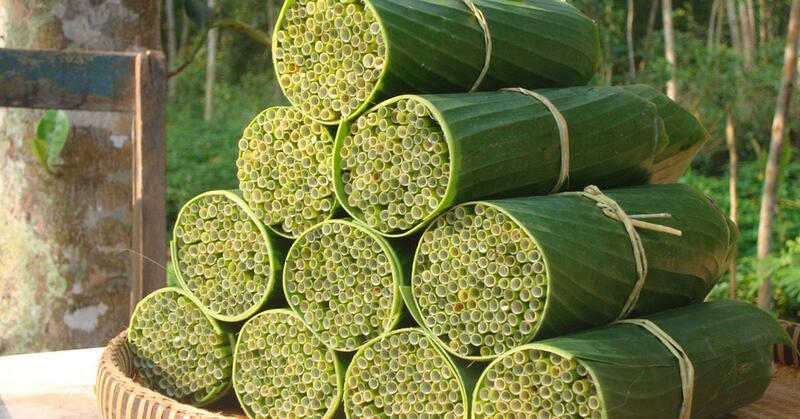 A Vietnam company is making compostable, chemical-free straws out of wild grass. Tran Minh Tien is the owner of Ống Hút Cỏ, a Vietnam-based company that makes two kinds of straws out of sedge grass, which grows wild along the Mekong Delta, The Epoch Times reported. As explained in a Facebook video by VnExpress International, the sedge grass has a hollow stem, so it is naturally straw shaped. To make both the fresh straws and the dried straws, the grass is harvested, washed, and cut into straw-sized tubes. Then, an iron rod is used to clean the inner part of the straws, followed by one last washing.If the batch of straws is going to be sold fresh, a bundle of 100 straws is collected and then wrapped in banana leaves.